A three-speed motor allows you to select the velocity needed to get the job done. Turn it on and run it without the timer, or set the timer to stop it after a selected time period. 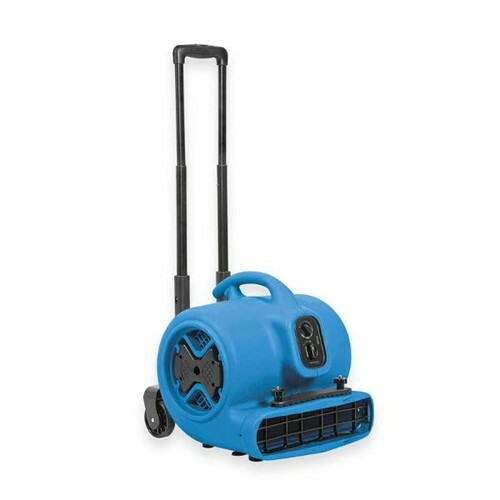 For operator safety and to prevent any damage to the fan, the machine is equipped with a protective grid. Also, the useful carpet clamp helps to fasten carpet to the machine to blow underneath the carpet. The trolley handle can be extended for transfer and can be retracted for storage.